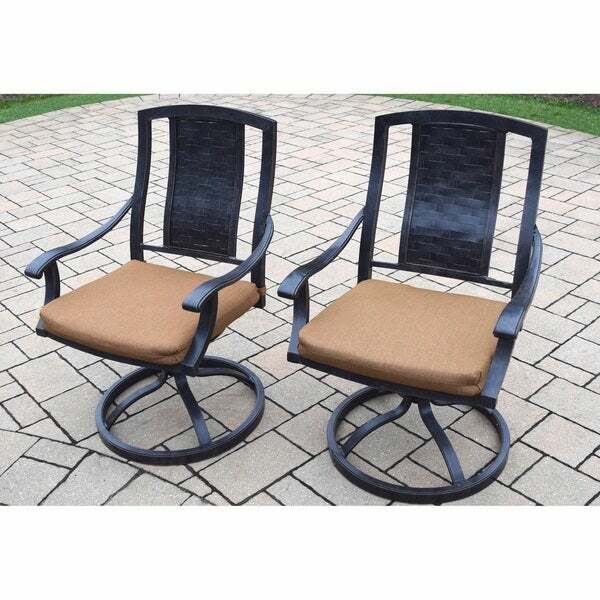 This set of two outdoor dining chairs form the Ravenna Collection by Oakland Living are crafted from durable aluminum with an antique black finish that will complement your traditional outdoor living space. The frame is powder-coated to ensure that you will get years of use out of these stylish chairs. The seats have a 360-degree swivel and rocker mechanism for added comfort. Sunbrella fabric cushions are included to complete the stylish look of your backyard or patio.